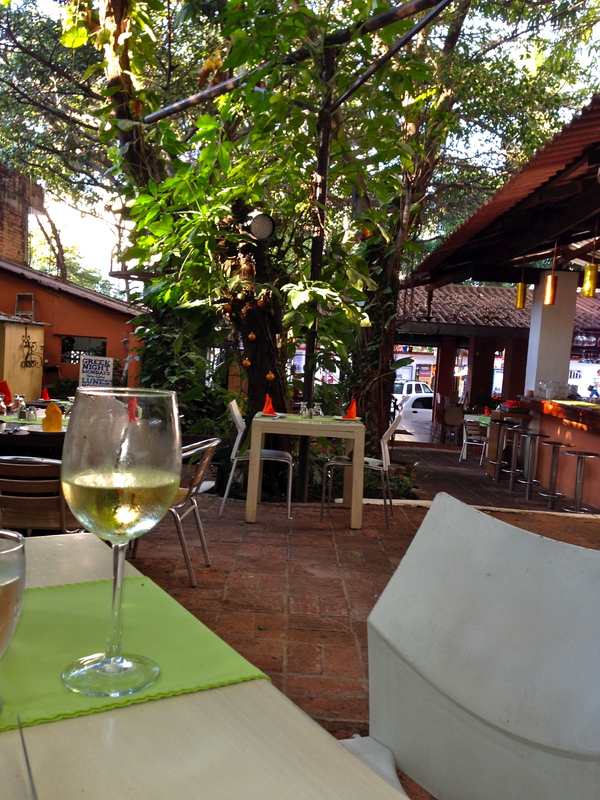 We rented a car for a couple of days for a road trip to Sayulita and to see what had changed in Puerto Vallarta since the last time we were there. 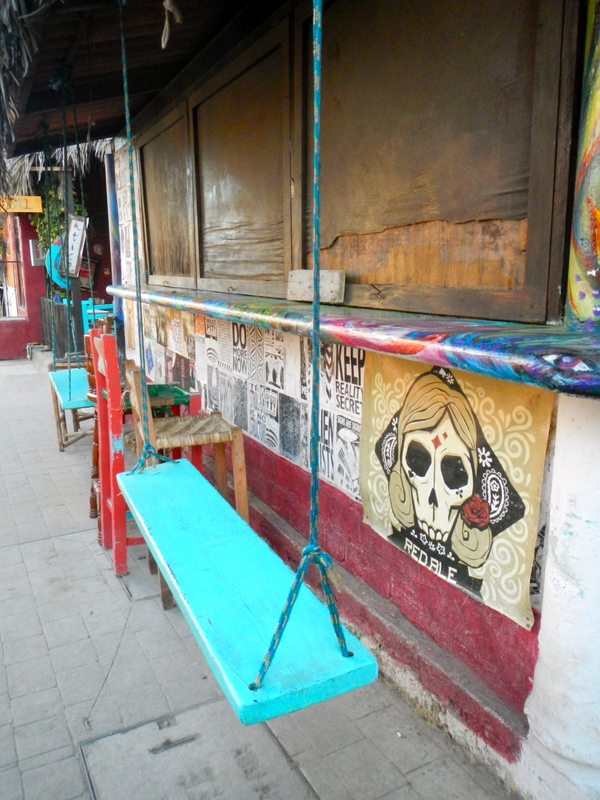 Our San Francisco pals Don and Paul discovered Sayulita years ago and it had always been on our “to see” list. So we took the scenic drive through the hilly countryside and one-horse towns and amazingly didn’t get lost. 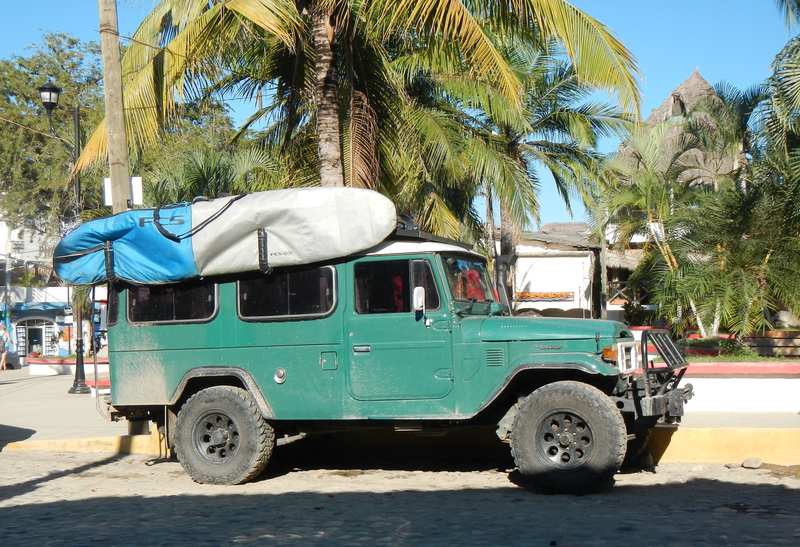 What once was a secret oasis is now a happening surf town with a sturdy base of local charm filled with ex-pat retirees and young hipsters “dropping out” from the bourgeois capitalist society back home to start their own here in Mexico LOL. (Take note Portlandia this place is a sketch in the making.) 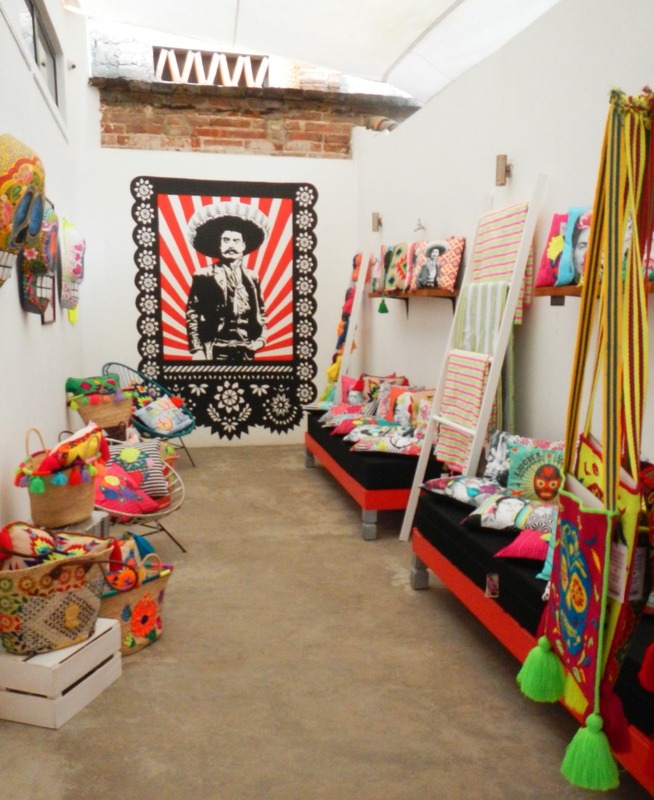 Here they’ve opened restaurants, galleries, coffee bars and cool but overpriced gift stores. 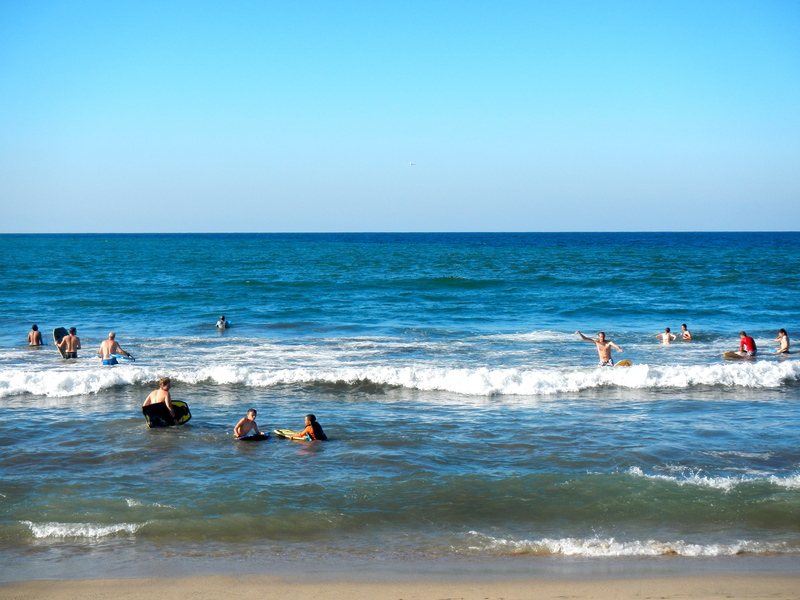 The beach here is enjoyed by local families, vacationers and surfers, as the easy break is an ideal place for the novice rider to hang ten, or just hang out. 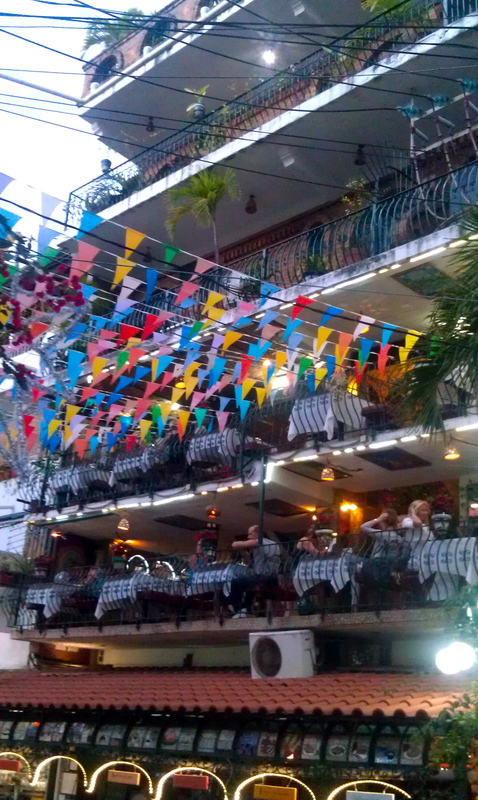 We explored the town and had a dynamite fish dinner at a little place called Jakal. Check it out if you are ever in the area. It was a toss up between here and the delicious smelling pizza from the wood-burning oven next door. I don’t think you can go wrong with your dining options in this town. 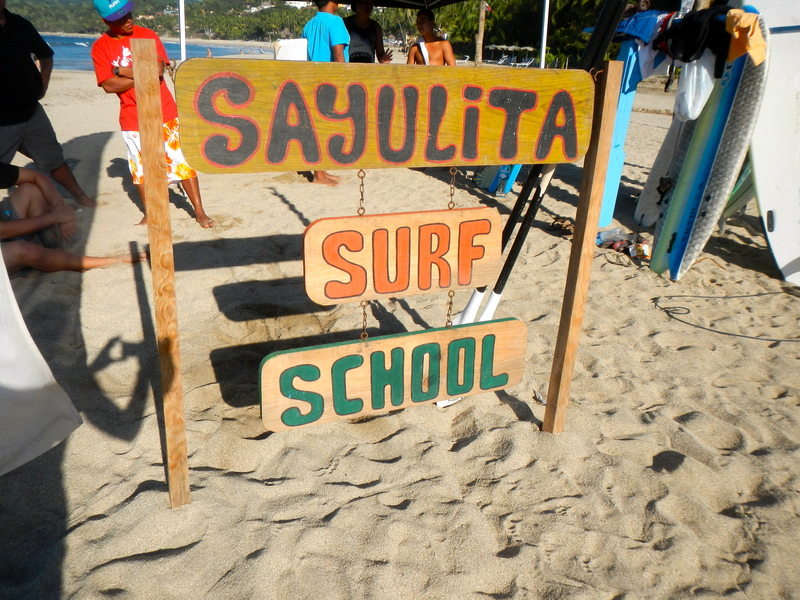 All in all, it was a wonderful day on dry land, but, sorry to say, the secret is out about Sayulita. Still, it is well worth the visit. Next we were off to Puerto Vallarta, a mid-size city with everything from time shares, resort hotels with alligator shaped slides to deluxe private villas with your own infinity pool overlooking the ocean. 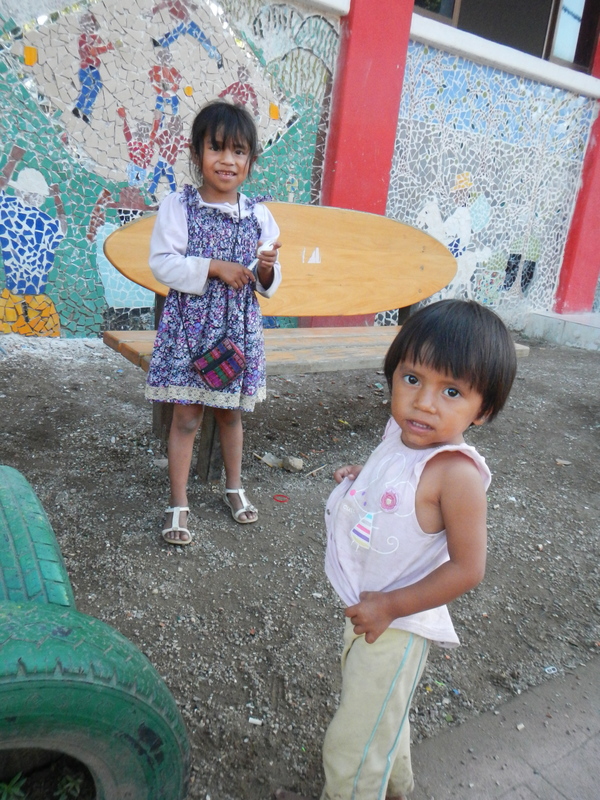 Regardless of your accommodations, the town itself is definitely worth exploring. 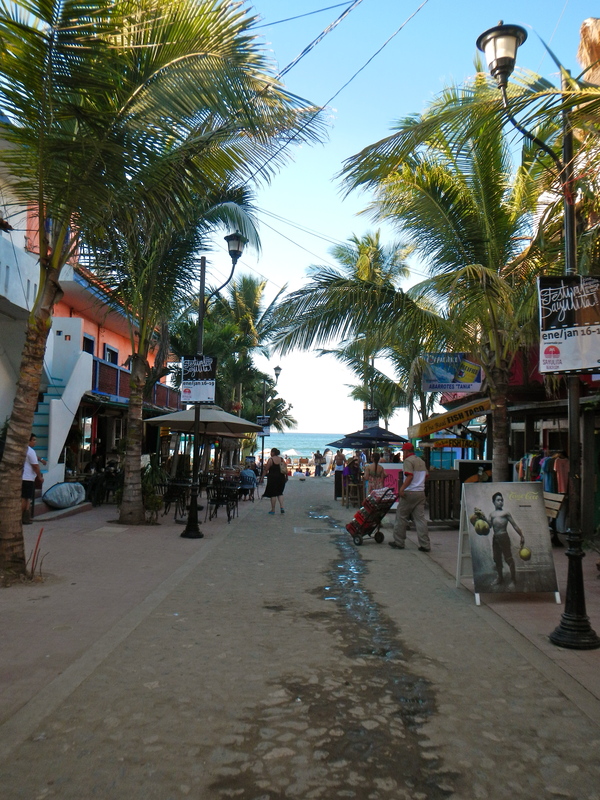 The malecón (promenade) takes you along the beach in front of the older part of town, which is much more interesting than the suburban sprawl around the edges. streets climb from the beach up steep hillsides, and buildings with wrought iron balconies line up to snag a part of the view. 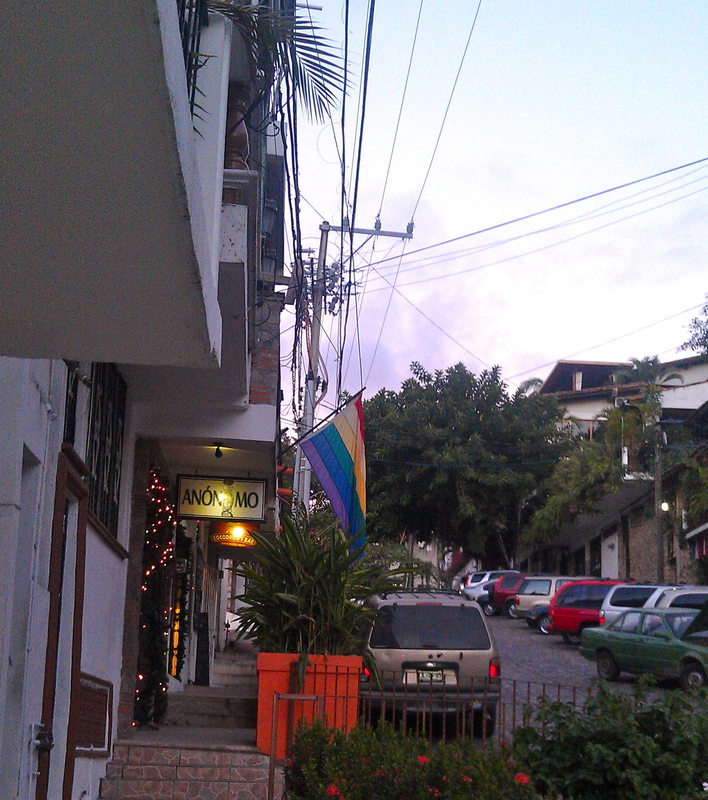 This section of town is extremely gay friendly, as PV is one of the gay centers of Mexico. Even with our memory from previous visits we had a hilarious time trying to wind our way up and down the one way streets in search of a water filter store (yes, we are living the life). 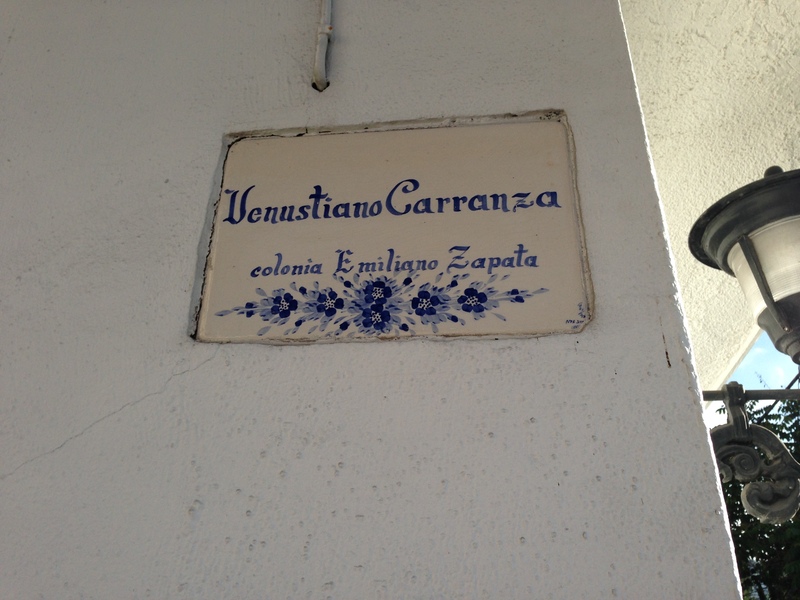 Street signs, if there are any, are beautiful tile signs embedded in an upper corner of the buildings. This of course adds to the charm of the area and is fine when on foot, but we were driving and had a hell of a time locating the little street signs before passing them by. We went round the same streets 3 or 4 times and felt like Chevy Chase on the roundabout in European Vacation until we finally found the place, only to learn that the store was gone. Oh well, we still enjoyed the sense of accomplishment from finding a needle in a haystack among the one-way, cobble-stoned, dusty, chaotic, maze-like streets of this town. Sometimes, completing even the most banal tasks is satisfying. 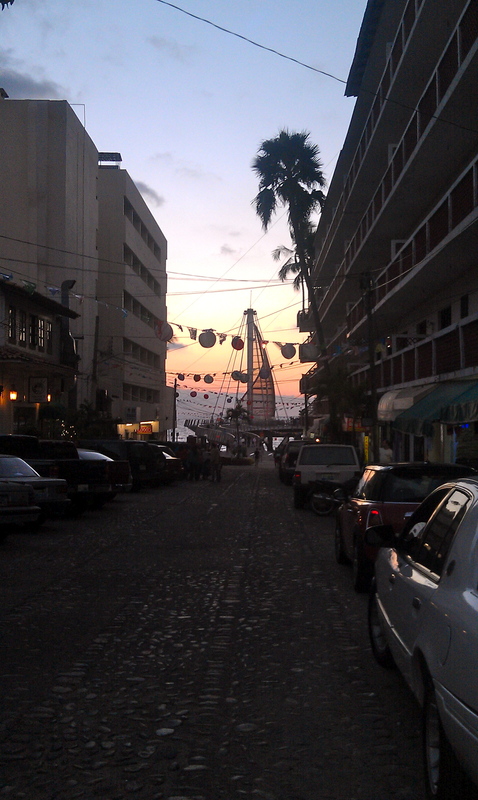 Afterwards, we parked the car, took a few deep breaths and enjoyed strolling around old-town PV. 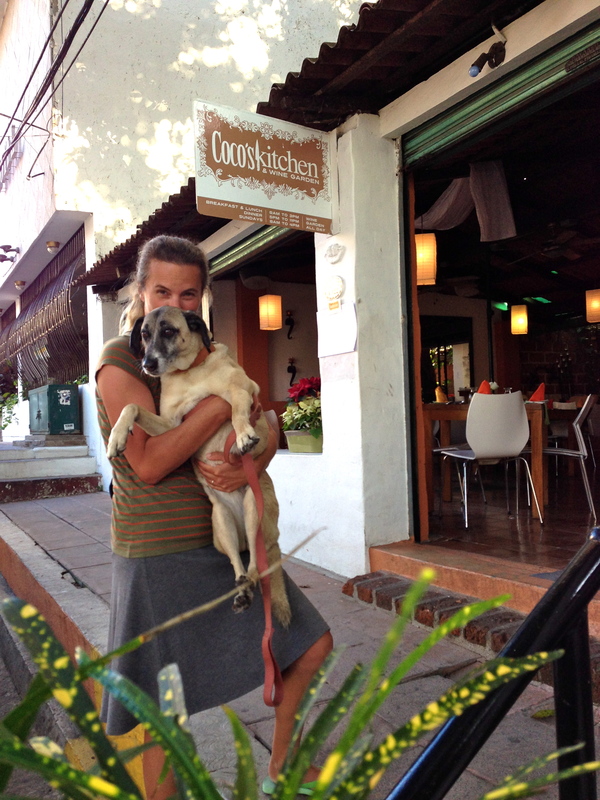 We were pleased to find one of our favorite restaurants (thanks to Tom & Andre), Coco’s Kitchen, still alive and well and happy to seat our party of 3. 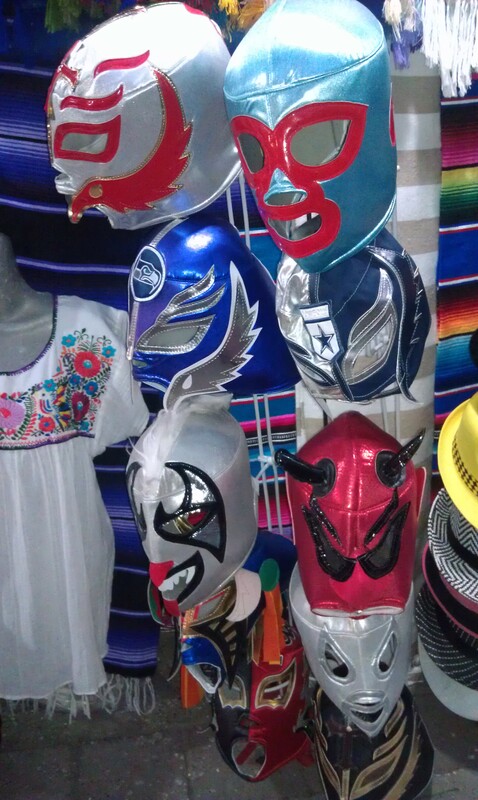 This entry was posted in 1st Season, land trip, Mexico by Mary. Bookmark the permalink. 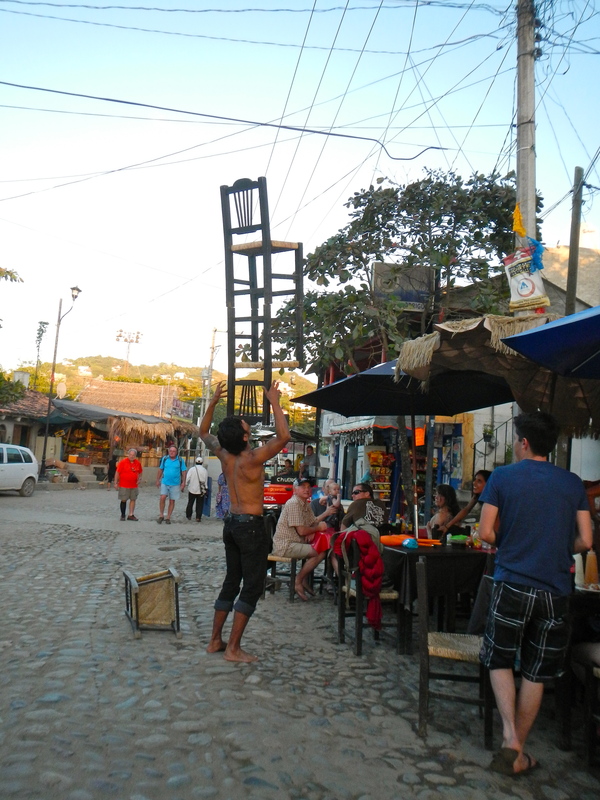 Great pictures and interesting tour through Sayulita. Street signs reminiscent of Old San Juan. 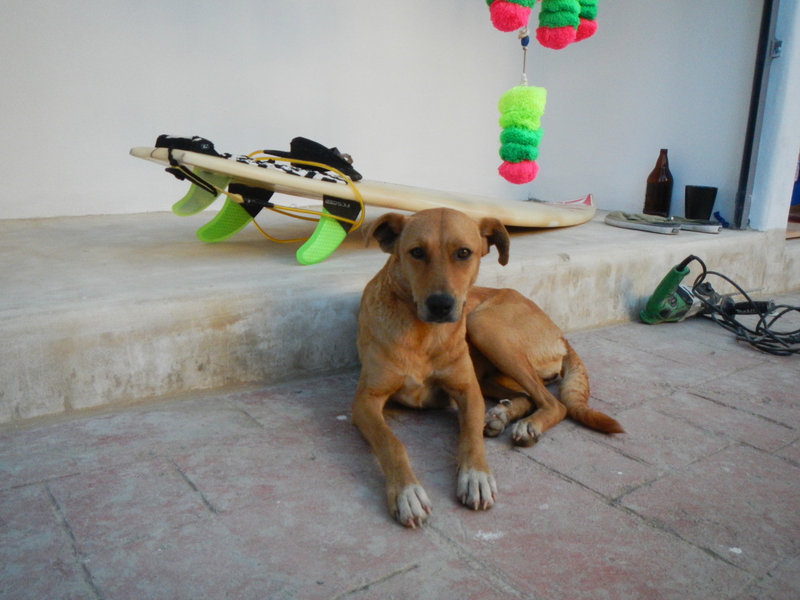 That Sayulita dog looks like a young version of Lucy.